You'll want to make sure you get in on the largest wedding sale of the year. This Cyber Monday all Minted Wedding Stationery is 25% off. Ends on 12/01/14. 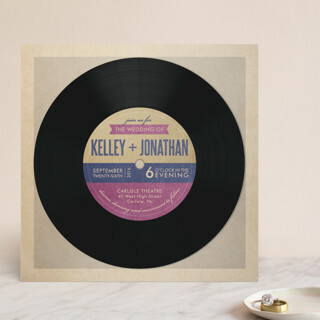 25% off everything else with Code: ﻿﻿﻿25CM ﻿﻿﻿- includes wedding stationery, gifts, art prints and more! Terms: Offer expires 12/10/2013 at 11:59 pm (PT). Enjoy 25% off your order using the code BEST13 at checkout. There is no minimum purchase required for this promotion. This promotion code cannot be combined with other offers. Offer is not applicable to previously placed orders, shipping, taxes, rush processing charges, and excludes photo books, calendars, gift certificates and items from our Thermography, Letterpress, Foil Stamping, and Engraving collections and our Professional Printing Service. Offer is only valid on Wedding Paper Divas and is not applicable to third party or partner websites. To prevent abuse, we reserve the right to discontinue or modify this offer at any time without notice. We reserve the right to cancel any order at any time. Save all weekend long! Click here to see more. Great news...if you missed the Tiny Prints Cyber Monday/Tuesday 30% Sitewide Sale, they are extending for another two days! You can still get a great deal on the best custom holiday cards, Christmas cards, Hanukkah cards, holiday party invitations, custom photo gifts...everything on their site is on sale for two more days, today and tomorrow, November 29. Just use the promo code CB12 when you checkout to get this awesome deal. If you have used Tiny Prints before, you know how great their products are. If you have not, you are missing out on the best custom cards, invitations, and gifts. Their site is super easy to use and you can personalize everything by writing your own text, uploading pictures, and making everything uniquely you! There has never been a better time to buy from Tiny Prints and this sale ends tomorrow at midnight Pacific Time, so check them out today. Happy Cyber Week Tuesday! Let Tiny Prints help you cross off some names on your holiday list with personalized notebooks. What makes them so great? They are all 35% off! 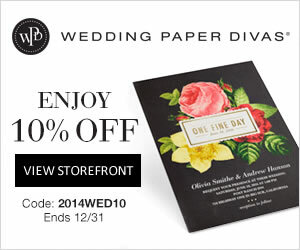 Tis the season -- to save on personalized gifts at American Bridal, starting at only $9.95! Their best-selling Embroidered Cooler Chair is now at its lowest price EVER -- only $16.95 with FREE personalization. Save on jewelry, totes, flasks, coolers, cuff links, watches and much more in their sale category. Plus, enjoy huge savings for Cyber Monday today and tomorrow, and coupons all week to follow! See all offers below. * Coupons valid as noted above; sale prices valid through Sunday, December 2nd. It's time to buy your holiday cards, invitations, and more. Just in time for the season, Tiny Prints is offering 30% off everything on their site. Custom holiday cards, Christmas cards, Hanukkah cards, holiday party invitations, custom photo gifts...you name it, it's on sale for two days, today, Monday November 26 and tomorrow, Tuesday November 27. Just use the promo code CB12 when you checkout to get this great deal. If you have used Tiny Prints before, you know how incredibly awesome they are. If you have not, you are missing out on the best custom cards, invitations, and gifts. Their site is super easy to use and you can customize everything. You write your own text, upload pictures, and make everything uniquely you! There will never be a better time to buy from Tiny Prints and this sale ends tomorrow at midnight Pacific Time, so check them out today. For one day only, you can save up to 60% on Treat greeting cards with the Treat Card Club. For Cyber Monday, if you use the code CYBERTREAT, you can save 30% on their already discounted card packs. You can literally do all of your holiday greeting cards with Treat, and make each one of them completely personalized! It's a really cool way for you to get major discounts (Up to 60% off on Cyber Monday) and save a ton of time at checkout by pre-ordering greeting cards in bulk. So check them out today to take advantage of this amazing deal.